Im currently lacking in the anime department...in terms of reviews that is. My speed of watching anime compared to my speed of reviewing them....theres quite a gap. So yeah, Im currently trying to speed things up. Anyway, today Im doing the review of asura cryin season 2. Theres not much to say in summary, since whatever there was in asura cryin 1, its in asura cryin 2. 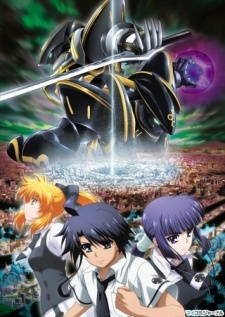 As usual, its about magics, demons and mechs, all fused into 1 anime. Its pretty cool, whatever you loved about season 1 is here too, if you liked it, you will definetely like season 2. Alternative is a much weirder take than spiral. Spiral took awhile to get used to, but alternative will take even longer to get used to. Still, angela sounds strong here, and the arrangements of the song are pretty cool, a slow start followed by speedy beats throughout the rest of the song. Due to that nature, it sounds abit more epic than spiral, but since the speedy parts only last about half the song, it may feel abit short. Opening animations are good, slightly better than the one with spiral, but the MV gives off quite some spoilers. Asura cryin was a great show, luckily, they pretty much did everything they did in season 1 again and retold a new story arc, so everything stayed great. The story, characters and certain action sequences all still stand strong, providing an excellent experience throughout. While some of the show seems much like season 1, where the characters attend high school, goof off and eventually get into some fighting, about half of the show is tilted toward a more serious atmosphere, which is a good change. Luckily, this shift towards a more serious show helps deepen the story and makes things more exciting to watch. Of course, theres also more characters introduced in the 2nd season, so it doesnt really seem like a total cut and paste. 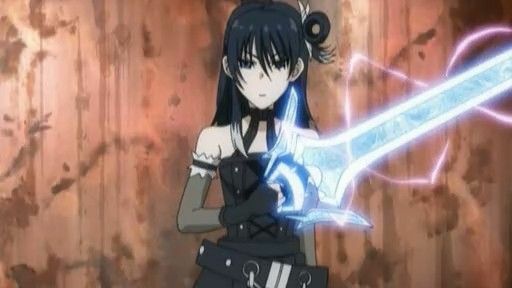 Goth chick with a sparkling sword...doesn't get any better than this does it? Asura cryin 2 takes places directly after that of season 1, (SPOILERS for those who didnt finish season 1)﻿ after the plane incident involving kagakagari, which pretty much killed off reishiro's projection being, aine.Since then, everyone has been rather down, and wants to track down kagakagari. The story's lead is still tomoharu, and hes determined as ever to find kagakagari and get some answers from him. But before all of that, he meets tokiya, the president of the third student council, who turns out to be an important character in the show later on. Tomoharu continues to use the asura cryin, the kurogane, though takatsuki warns him not to, fearing that he might loose misao. The show also features them going into the first world, and finally meeting tomoharu's brother, who so mysteriously has connections with so many of the show's characters, he finally comes to light in this season! Theres alot going on in the 2nd season, and things might get complicated, but it all falls into place, forming one of the many great masterpieces in anime history. Asura cryin 2 is just as great as its predeseccor, but has a much more serious take. Still, its great and feels amazing when you watch it. Not just season 2, but season 1 too, but feel good and refreshing. As a series overall, asura cryin is one that stands out alot, very little animes out there will have a concept as interesting as asura cryin. Great show overall, I would probably recommend it to anyone, but of course, make sure you watch season 1 too.